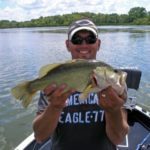 Did you catch a nice bass, walleye, pike, trout, with a bait from Get Bit Baits? 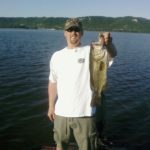 Send us a photo of your catch and get it posted here. 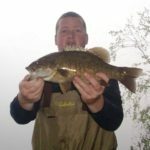 Tell us something about it, like where did you catch the fish, How big was it, your name if you want it posted, what bait did you catch your fish on? 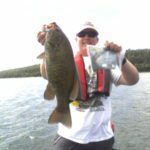 Wanted to extend a big THANK YOU for all you do with these baits and allowing us to purchase your quality lures. 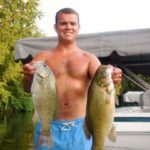 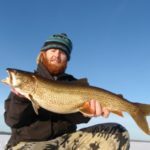 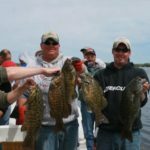 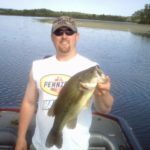 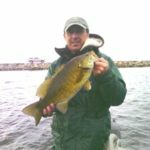 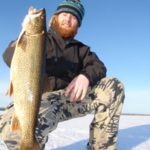 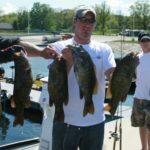 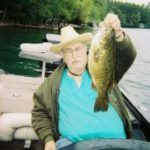 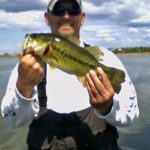 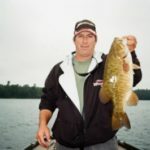 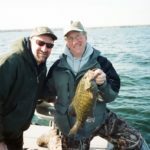 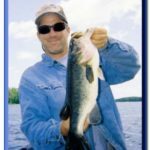 I have used many tube baits in my 20 years of bass fishing and have fallen in love with the tube baits in particular, that you and your associates sell. 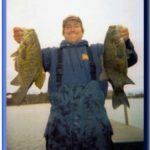 As you know the 4 inch tube baits in the dark melon pepper played a huge role in winning the 2009 Sturgeon Bay Open Bass Tournament. 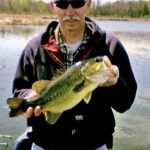 We can not express our excitement for these lures or the confidence that we have entering each tournament with these tied on to our fishing pole. 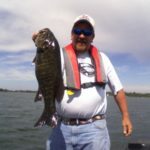 We plan on doing business with your company for many years to come and will be mentioning your company every chance we get. 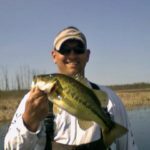 As avid tournament fishermen we appreciate a good quality product when we see one and you have some awesome baits. 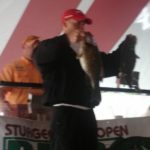 I have enclosed some pictures of the tournament, Thanks again. 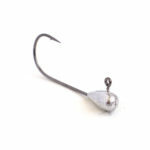 I first saw your product in an edition of In Fisherman. 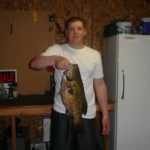 A “true monster” a 7.1 Lb. 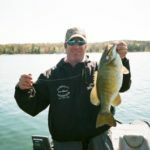 smallmouth caught May 5th on the Bay of Green Bay on a Get Bit Baits tube. 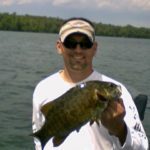 This is an awesome 20.5 inch approx 5.2 lb smallmouth. 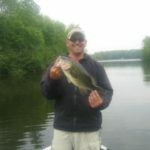 I used a 2.5 inch. 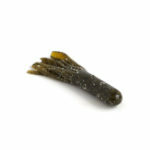 Green pumpkin orange copper fleck tube. 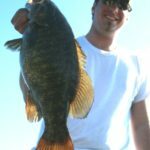 21-1/2″ Small Mouth Bass 3-1/2″ Black Get Bit Tube Oconto River Oconto WI. 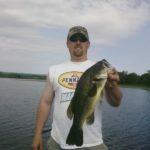 Large Mouth Bass Here is one that I caught in Madison last year with a 4 in black tube Texas rigged (Get Bit Baits). 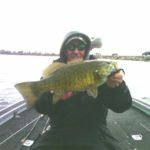 Luv them!! 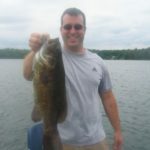 Small Mouth Bass caught on a 2 3/4in green pumpkin tube from (Get Bit Baits). 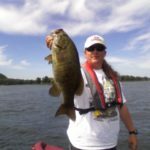 Ken and Kelly Fallish had 27.26 all caught on get bit baits. 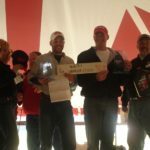 Took first place and had a big fish of 6.96 lbs.